Alone in a new country, wealthy Sara Crewe tries to make friends at boarding school and settle in. But when she learns that she'll never see her beloved father again, her life is turned upside down. Transformed from princess to pauper, she must swap dancing lessons and luxury for drudgery and a room in the attic. Will she find that kindness and generosity are all the riches she truly needs? 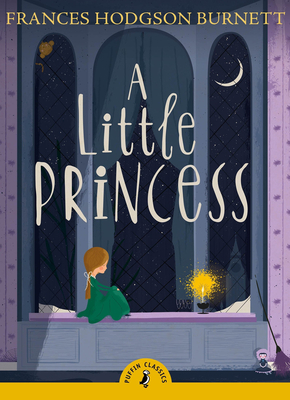 With deeply poignant introduction written by bestselling author of Chinese Cinderella, A Little Princess is one of the twenty wonderful classic stories being reissued in Puffin Classics in March 2015. Frances Hodgson Burnett (1849-1924) was born in Manchester. She had a very poor upbringing and used to escape from the horror of her surroundings by writing stories. In 1865 her family emigrated to the USA where she married and became the successful author of many children's books including Little Lord Fauntleroy andThe Secret Garden.